This story is from 2014, but once again, it highlights that illegal immigration brings criminals into the United States. An illegal immigrant convicted of a murder spree? Surely not, right? I mean you never heard this on CNN, or CBS, or NBC, or ABC, or for that matter, even FOX because it doesn’t fit the narrative of the Marxist inspired, self-hating elite that are ruining our nation. By the way, this monster was ordered deported in 2002, but the order was not carried out. A Manassas man who shot and stabbed six people in February 2011, killing three, pleaded guilty in Prince William Circuit Court on Wednesday. 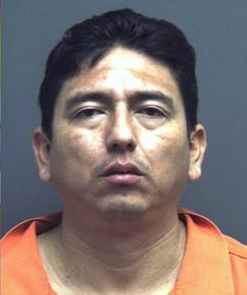 A judge sentenced Jose Oswaldo Reyes Alfaro, now 40, to seven life terms plus 23 years in prison for the “horrendous” crimes in the city’s Georgetown South neighborhood, said Prince William Commonwealth’s Attorney Paul Ebert. On the night of Feb. 10, Reyes Alfaro shot his estranged girlfriend, 56-year-old Brenda Ashcraft; her son, 37-year-old William Ashcraft; a 34-year-old woman and a 15-year-old girl. The woman and the teen survived, but Brenda and William Ashcraft were killed. Reese Alfanso then went to a house nearby on Brent Street, where he shot and killed 48-year-old Julio Cesar Ulloa and repeatedly stabbed a 77-year-old woman. The woman survived. Read more….